High capacity and high efficiency make this Maytag Laundry Pair from RC Willey a quality choice for your laundry room. With a White finish, this set is sure to look great in your home and with modern features they're sure to make laundry day easier than ever. Get it today and see what Maytag and RC Willey can do for you. 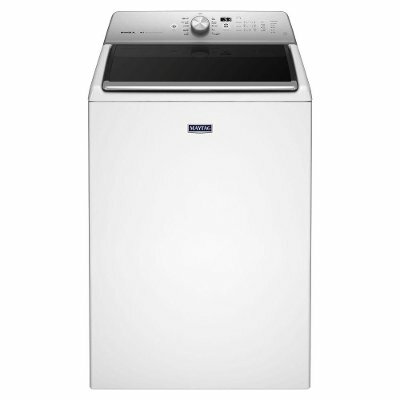 This white Maytag top load washer from RC Willey is the washer for you! When it comes to your toughest laundry jobs, this Maytag washing machine never takes a load off. Its PowerWash cycle is made to deliver the Best Cleaning in its class, while added wash action from the Power Impeller means more effective movement for exceptional results. But it's not all just about power on this washing machine:the Sanitize cycle removes 99.9% of common household bacteria, so you can count on it to keep clean those items you keep close. Plus, with a 5.3 cu. ft. capacity, a bold new design and the always reliable SmoothClose lid, it's another Maytag top load washer that's Better Built for your demanding jobs. Best of all, it's designed,engineered and assembled in the United States with real American Pride. 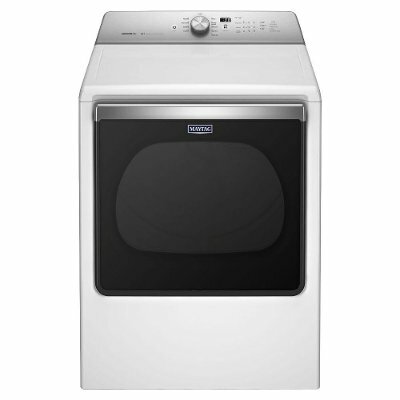 This Ultra-large 8.8 cubic feet Maytag Dryer from RC Willey handles the largest loads. This Electric Dryer has features like the PowerDry cycle, to make sure your clothes are ready to go in no time. Pair it with the matching . The extra-large dryer drum can handle up to 21 towels in a single load, while PowerDry is engineered to get your toughest loads completely dried faster. This large capacity dryer gives clothes the attention they need with Advanced Moisture Sensing that measures temperatures so every shirt and sock get the right amount of dry. It's also got an extra interior fin that keeps clothes moving in a more random pattern for more effective drying performance. 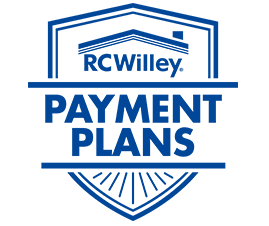 All that and a 10-year limited parts warranty on a model designed, engineered and assembled in the U.S.A. make this machine pure Maytag brand.